The wave of creativity and innovation to transform urban areas and improve quality of life has started around the globe. Spanking new smart cities are being developed from the ground up via collaboration between real estate developers and technology behemoths, existing cities are getting smart with infrastructure and technology upgrades, while smart cities are getting smarter. And within cities, digital neighbourhoods or innovation hubs are emerging as test beds for technologies that enhance urban life, from green energy systems to self-driving transit and new construction techniques that can lower housing costs. Smart-city developers say smart cities are probably places with the most sensors, possibly millions of them. The challenge is how to take the data from those sensors and convert the data into something you can use. 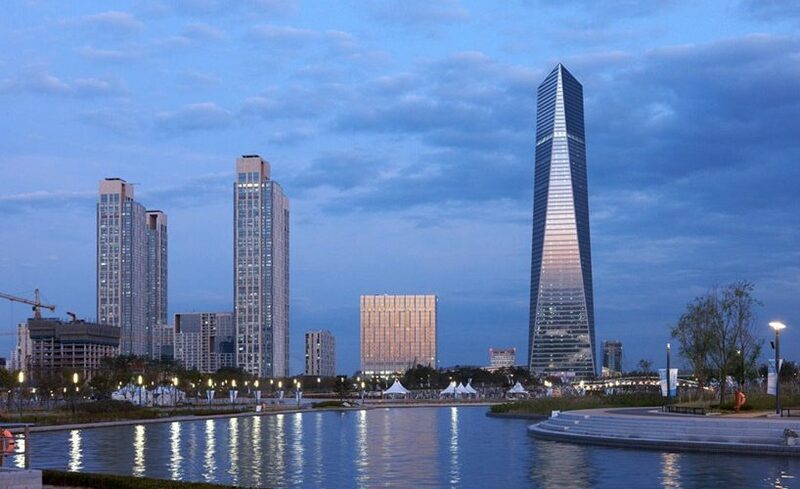 South Korea’s Songdo is being built on a 1,500-acre site reclaimed from the Yellow Sea. One such place is South Korea’s Songdo City, one of the planet’s prototype smart cities, according to US-based Urban Land Institute (ULI). Now about 75% complete and with 48,000 inhabitants (65,000 when fully complete by 2020), Songdo’s data gathering devices electronically monitor everything from traffic flow to air quality, and keep a lookout for police and fire emergencies. It’s a city without garbage trucks or sidewalk rubbish bins. Instead, rubbish is sucked down through pipes into an automated underground collection system where it is sorted out and recycled or burned as fuel. Songdo’s smart capabilities are a part of daily life here. In belowground parking garages, residents are automatically alerted when their spouse or partner arrive in the evening. A telepresence system built into the apartments enables residents to be examined by a family doctor or have a psychotherapy session without leaving home. Residents can also access Songdo’s network of video cameras. You can look through a monitor on your wall or pull up a smartphone app to make sure your kid in the playground is all right, ULI added. So how’s life in Songdo? Here are observations from an analysis of urban transformations including smart cities by French daily Le Monde. It said Songo has attracted the well-to-do like stars and families, especially young couples with children, who appreciate the high quality of services, presence of several international schools, a new and clean environment, and leisure activities by the sea. The city is being built on a 1,500-acre site reclaimed from the Yellow Sea and is a part of the Incheon Free Economic Zone. Prices of real estate in Songdo are 40% cheaper than in Gangnam, a trendy area in the centre of capital Seoul. Conversely, Songdo is a city “under constant surveillance”, with 500 cameras to ensure total grid coverage to regulate the traffic and to detect suspicious behaviour. Even opening a sewer cover is immediately notified to the management centre. It’s also “sterile”: It looks different from Korean cities and there are no poor people, no street vendors, no old people. And its real estate remains “inaccessible to the average Korean”. Elsewhere throughout Asia, new cities with smart capabilities are also popping up. It’s estimated that India’s GIFT City would require 62 million sq ft of office and residential space. For example, Digital India’s vision calls for building 100 such cities to accommodate population and economic growth. 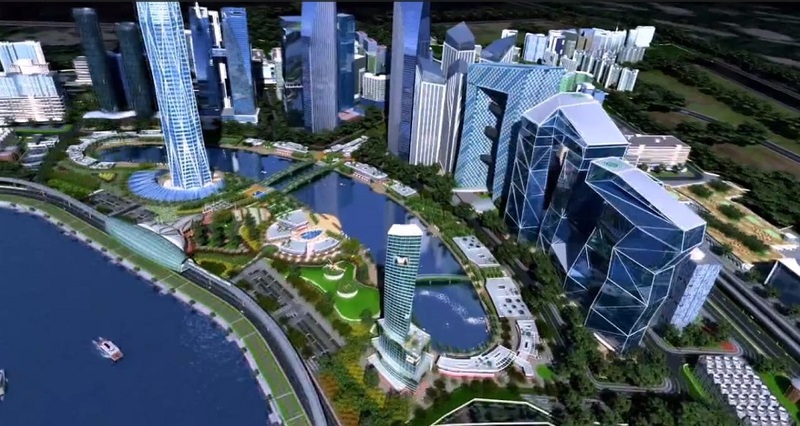 The first, Gujarat International Finance Tec City (GIFT City), is expected to be ready in 2020. Meanwhile, cities in Europe and the US, rather than building from the start, focus on finding ways to replace existing infrastructure with smart upgrades. For instance, Chicago in the US is upgrading more than 270,000 lights on city streets and in parks to LEDs and setting up a smart system to manage all of them remotely. To ease road congestion, and with the advent of increasingly sophisticated electronics and autonomous vehicles, smart traffic systems eventually will use V2X (vehicle to everything) communications to link directly with traffic signals and with each other. There are also developers wanting to create the most technologically advanced live, work and play environment, using IOT technologies to help facilitate that value for their commercial tenants, buyers of condominiums and visitors. The developers want to make these people’s experience seamless whether it is public safety, parking, access to WiFi, or the cost of utilities. In Denver, Colorado, Japan’s technology giant Panasonic aims to turn Pena Station Next into both a proving ground for smart-city technologies and a template for other real estate projects. Situated on 400 acres on the edge of Denver International Airport and a 20-minute light rail trip from downtown Denver, Pena Station Next is a mixed-use neighbourhood. It will have driverless buses like those in Iceland’s Helsinki, blanket WiFi, intelligent LED streetlights and parking areas covered with solar panels. Mixed-use Pena Station Next in Denver, Colorado, will be a proving ground for smart-city technologies and a template for other real estate projects. According to E&E News, Pena Station Next is a carbon-free city being built from scratch and will rely on solar energy, a king-sized lithium-ion battery and energy efficiency schemes. The battery will be connected to a regional centre building being completed by Panasonic. Pena Station Next is inspired by a smaller-scale sustainable smart town in Tokyo’s Fujisawa suburb which cuts its carbon dioxide emissions by 70% and property values there have risen by 25%. One big benefit for Panasonic is the battery that will protect it from blackouts. Otherwise, Panasonic would have to build an expensive diesel-powered backup system to run its elevators and computers 24/7. The feature also attracted other companies to the Pena Station Next project. In Canada, reports said Google co-founder Larry Page’s first “city of the future” will be built from scratch on 800 acres on Toronto’s waterfront. The site will be transformed into an innovation hub for technologies that improve city life. Unsurprisingly, Google will be anchor tenant.